Starting the healing process after heroin abuse requires the elimination of heroin in the body through a process called detoxification, or detox for short. This initial step in the treatment process is a vital part of heroin addiction recovery. Despite the unpleasant effects of heroin detox, there are numerous methods to ease the uncomfortable withdrawal symptoms that may occur during this practice. Heroin detox is the start of a new life without drugs, which makes it worth any short-term discomfort. Drug detoxification describes the process of eliminating certain substances from the body. Once heroin is cleared from a person’s body, they will experience withdrawal symptoms or uncomfortable side effects. Withdrawal is the way our bodies demand more drugs during detoxification. Even though withdrawal from heroin is rarely life-threatening, it can be unpleasant, particularly for heavy and long-term users. The majority of users experience their first withdrawal symptoms within six to twelve hours following their last heroin use. If a person stops using heroin cold turkey, without any medical assistance, withdrawal symptoms often reach their peak within two to three days after their last heroin use. Why is heroin detox needed? The dangers of ongoing heroin use are significant, and every hit puts a person at greater risk. Heroin detox at a drug detox centre helps clear the body of substances in a safe and controlled environment, with medical assistance, supervision and the proper tools to handle situations as they occur. Even though some people choose to detox at home, heroin withdrawal can be so intense that most people relapse instead of going through the discomfort. Aside from ensuring physical comfort, supervised heroin detox at a drug detox centre also guarantees safety, prevents relapse and potential overdose. What happens during heroin detox? A medical heroin detox typically involves a monitored detox period intended to address any psychological or physical complications that occur during withdrawal, ensure comfort and minimise relapse. Supervised heroin detox may or may not include medication. How long has the person been using heroin? Have they ever received treatment for heroin abuse? Do they take other drugs? If so, what drugs? Do they drink alcohol? If so, how often? Do they have other existing mental and/or physical health issues? A comprehensive physical exam is given during intake to evaluate the person’s current health status. Similarly, their physical examination results and medical history, as well as their general evaluation, helps guide their treatment therefore complete honesty and openness are required for optimal results. 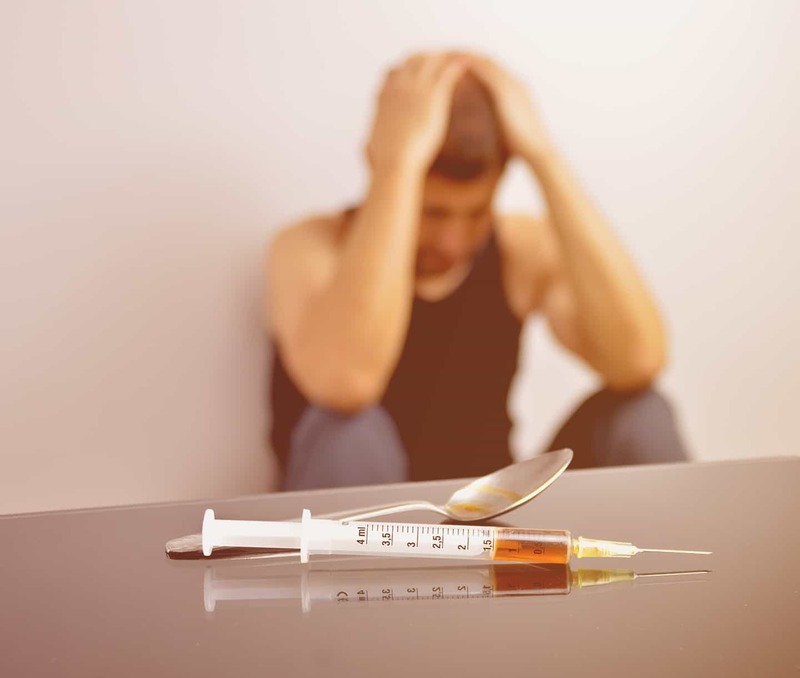 The duration of heroin detox varies from person to person due to several factors such as the user’s amount of heroin taken, duration of heroin use, height, weight, metabolism and the withdrawal method. Medical detox at a drug detox centre begins before heroin completely leaves the body and generally takes between five to seven days. Heroin detox can last for up to ten days for a person who is more heavily dependent on heroin. What do withdrawal symptoms include? Heroin withdrawal is different for everyone. The longer a person uses heroin, the amount they take and the way they abused it are all factors in the body and brain’s dependency on heroin. Consequently, the duration and severity of withdrawal also vary. 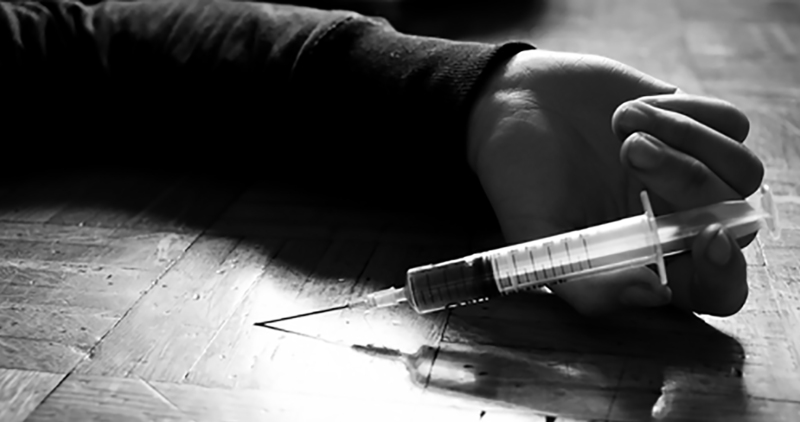 Additionally, a person with a history of addiction, mental illness or dual diagnosis may be more likely to develop a heroin dependency at a faster rate. Heroin is an opiate drug that inhibits some of the central nervous system’s functions, such as blood pressure, heart rate, temperature regulation and respiration. In addition, heroin binds to opioid receptors, increasing the feel-good chemicals in the brain. When a person abuses heroin, they experience a rush of pleasure, and when the drug is removed, the opposite effect occurs. Even though heroin withdrawal is not often regarded as life-threatening on its own, some of the psychological and medical symptoms may have difficulties that can be life-threatening. For example, depression can cause a person to become suicidal. Therefore, a person should never suddenly stop heroin without the support of a drug detox centre or mental/medical health professionals who can use methods to manage withdrawal side effects and keep the person safe. How do you manage withdrawal? Heroin withdrawal can be an unpleasant experience to go through, but it is a vital first step towards achieving sobriety. The good news is that detox can be managed, and more comfortable, with medical assistance and supervision. Some ways that a person can receive medical assistance include inpatient facilities and drug replacement therapy. Inpatient facilities offer a safer way to go through detox and offer professional health monitoring throughout the entire withdrawal process. Drug replacement therapy helps gradually ease the system off heroin and may involve certain prescription drugs such as opioid agonists, which mimic the effects of heroin, so the body does not experience a sudden decline of heroin effects and results in a more comfortable withdrawal experience. If you or someone you know is struggling with heroin addiction and withdrawal, now is the best time to seek help. Contact us now for a free consultation. What medications help with heroin detox? Medications may be used to help make the detox experience more tolerable and ease withdrawal effects. They work by either mimicking heroin effects, at a reduced amount, or easing withdrawal symptoms. It is crucial that the drugs are taken as prescribed to eliminate the risk of heroin users developing another drug addiction. Common medications used to help during heroin detox include opioid agonists, opioid antagonists and mixed opioid agonist-antagonists. These medications either mimic or partially mimic the effects of heroin and include methadone and buprenorphine. Both drugs do not produce the same rush as heroin though they satisfy the body’s craving for opioids. Buprenorphine is a partial opioid agonist that carries less risk than methadone concerning developing drug dependency. It is also sometimes mixed with Suboxone to further reduce the risk of addiction. These medications block the opioid receptors that heroin works on, obstructing the drugas action and stopping any rush from occurring. Opioid antagonists include Naloxone and Naltrexone. Naloxone is generally used in emergency situations, such as overdose, or combined with buprenorphine due to its risk. Naltrexone does not cause dependence and includes Vivitrol, a long-lasting, injectable variety that is given on a monthly basis. Mixed opioid agonist-antagonists like Suboxone include both an opioid antagonist and an opioid agonist. They have been found to reduce cravings while also avoiding opioid medication abuse. Suboxone is a combination of both Naloxone and buprenorphine and helps to satisfy cravings without causing a high. Additionally, Suboxone has a lower risk of overdose. How are medications used in heroin detox? When combined with therapy, drug replacement medications can help achieve optimal recovery results. Medications can significantly help with withdrawal and detox, though they may also be used during a treatment programme. Furthermore, severe heroin addicts may benefit from ongoing methadone maintenance therapy to avoid relapse. Either way, treatment facilities offer extra assistance to recovering heroin addicts who use medication replacement. Whether heroin detox is practised with or without medications, any individual who has used heroin can start their journey towards recovery and achieve sobriety without drugs. What are detox programmes and methods? There are multiple options when it comes to choosing detox programmes, including inpatient detox programmes at a drug and alcohol rehab centre, outpatient detox, rapid detox and ultra-rapid (anaesthesia-assisted) detox. Inpatient rehabilitation centre for drug addicts offers hospital or residential addiction treatment with around-the-clock access to medical services and care from staff. Residential settings, or drug and alcohol rehab centres, include standard, private, executive, and luxury facilities, depending on the kind of facility resources and amenities that are included as part of the treatment. Outpatient detox allows individuals to receive addiction treatment while living in their own home. Like at an inpatient rehabilitation centre for drug addicts, medications may also be used to help ease the detox period. If a person chooses an outpatient detox programme, they must regularly check in with their healthcare provider, who monitors their progress and changing requirements. Rapid detox, as the name suggests, involves a detox approach that is designed to rapidly complete the detox phase in order to begin treatment and recovery phases. This method generally uses opioid antagonist medications. Even though quickly finishing detox may initially sound appealing, it does come with serious risks such as irregular heartbeat (cardiac arrhythmias) and accumulation of fluid in the lungs (pulmonary edema). Anaesthesia-assisted rapid detox is similar to rapid detox, which is described above, but it takes place under general anaesthesia. Despite accelerating the detox process, with possibilities of physical elimination of heroin from the body in only four to eight hours, it is also hazardous. In fact, in one study a shocking 8.6% of subjects who received anaesthesia-assisted rapid detox died or developed cardiac arrest. Who benefits most from inpatient detox? Who benefits most from outpatient detox? How do you treat heroin addiction? Once detox is complete, it is time for treatment to start. Heroin addiction treatment generally involves therapy to reveal and address the underlying causes of substance use. Therapy methods vary depending on the rehabilitation centre for drug addicts and their philosophy, patient preferences and any present dual diagnosis or co-occurring disorders. The most common therapies involve behavioural counselling therapies, which address the user’s reason for starting and continuing using drugs. These therapies often take place in individual (one-on-one) therapy, group therapy and family therapy. Therapy also addresses cravings throughout and following treatment. Counselling is an integral component in heroin addiction treatment since addiction is more than just physical dependence. Once the user has successfully detoxed, thereby eliminating the physical dependence, they are still at risk of relapsing. Psychological and social factors such as stress, social networks and environmental cues are often powerful stimuli for heroin relapse and can cause on-going cravings. Counselling therapy helps manage cravings and develop healthier coping mechanisms to handle life stresses without the use of heroin. With so many counselling therapies available, there is not one exact method that is more beneficial than others. Likewise, a single approach is not applicable to every person, which is why it is crucial to create a customised treatment plan to address each individual’s unique requirements. Counselling is available at individual, group and family levels. Individual counselling is a one-on-one form of therapy that focuses on stopping heroin use, committing to a treatment plan, education and skill building. Group counselling complements individual counselling by offering social support from peers who are going through a similar experience while family counselling is ideal for educating all members of the family and overcoming issues that stem from addiction. Counsellors provide numerous services to people in heroin addiction treatment such as evaluation, treatment planning and counselling, along with therapies such as Cognitive Behavioural Therapy (CBT), contingency management, 12 Step programmes and Motivational Enhancement Therapy (MET). CBT helps those in recovery learn to recognise and stop negative behaviours and thinking patterns. It can help a person become aware of the situations, stressors and feelings that lead to heroin use so that they can develop a different response or avoid them entirely. Additionally, CBT teaches essential coping skills that can be used in many situations. This form of therapy reinforces positive behaviours, such as staying sober, by using incentives. It is a method that involves the use of vouchers, which allow the person to collect points for different situations, like showing up clean on a drug test. These points can then be used to acquire items that encourage healthy living. 12 Step programmes such as Narcotics Anonymous (NA) involve peer support groups that help by offering support and guidance. Unlike group therapy, a trained psychologist does not lead 12 Step programmes. MET increases motivation and encourages recovering addicts to commit to their plan to be actively involved in treatment and recovery. MET is generally used during the early stages of treatment to get people involved in treatment. The Dawn Medical Rehab and Wellness Centre offers a highly personalised and intensive heroin addiction treatment programme that is custom-made to suit each client’s unique requirements. We offer a holistic, non-religious approach that is not only effective but also appropriate for any individual. The Dawn has an onsite detox centre and medical support available around-the-clock, along with an impressive 1:1 staff to client ratio. The Dawn’s licensed team of addiction professionals has extensive experience in an array of counselling methods and therapies to guarantee a successful recovery, as well as offer clients the essential tools that are needed to maintain sobriety following treatment. Furthermore, aftercare support is also available online at no additional cost. Contact us today to receive a no-obligation assessment to find out how we can help. You can also call us on one of our toll-free numbers.